Quelques photos de Reading vu du Reading's Pagoda, permettant d'obtenir une vue panoramique sur toute la ville. Overlooking the city on Mount Penn is Reading's symbol, a Japanese style pagoda visible from everywhere in town and referred to locally as "The Pagoda." It was built in 1908 as a hotel and restaurant, but was never used for that purpose. It remains a tourist attraction. 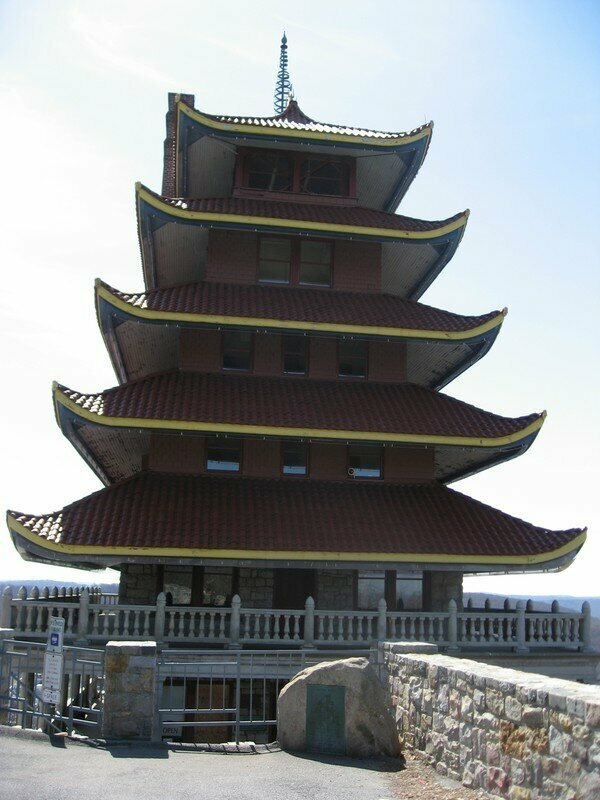 Announced in late 2007 were plans to renovate the area surrounding The Pagoda. The vision is to include walking paths and, possibly, a new mountaintop restaurant. Duryea Drive, which ascends Mount Penn in a series of sharp bends, was a testing place for early automobiles and was named for Charles Duryea. The city lent its name to the now-defunct Reading Railroad, which brought anthracite coal from the Pennsylvania Coal Region to cities along the Schuylkill River. Musique du diaporama : Coldplay "What If"